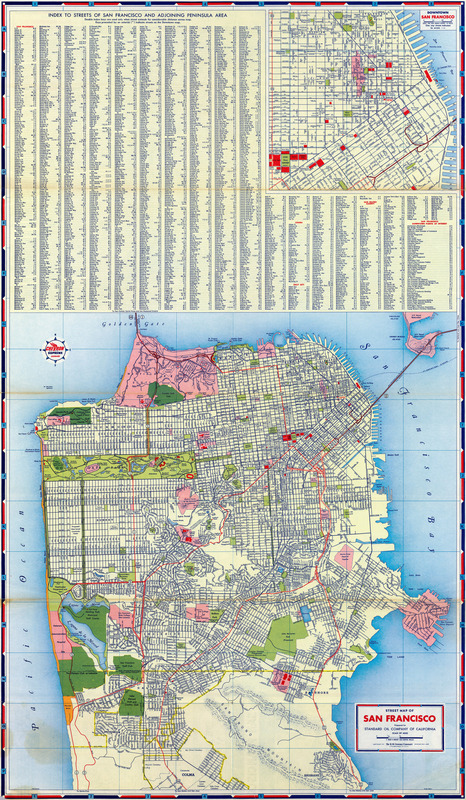 Some SF hippie right now is thinking: "Beautiful map, but (grumble grumble) oil company... sustainability (grumble)." 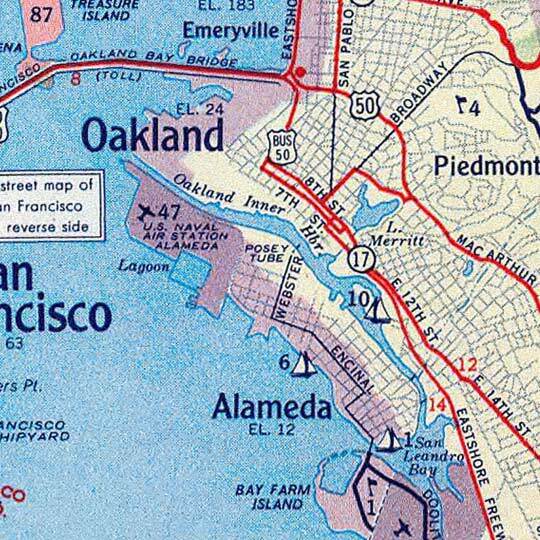 I'm just thinking "Beautiful map, but (grumble grumble) JPEG compression artifacts... film grain (grumble)." 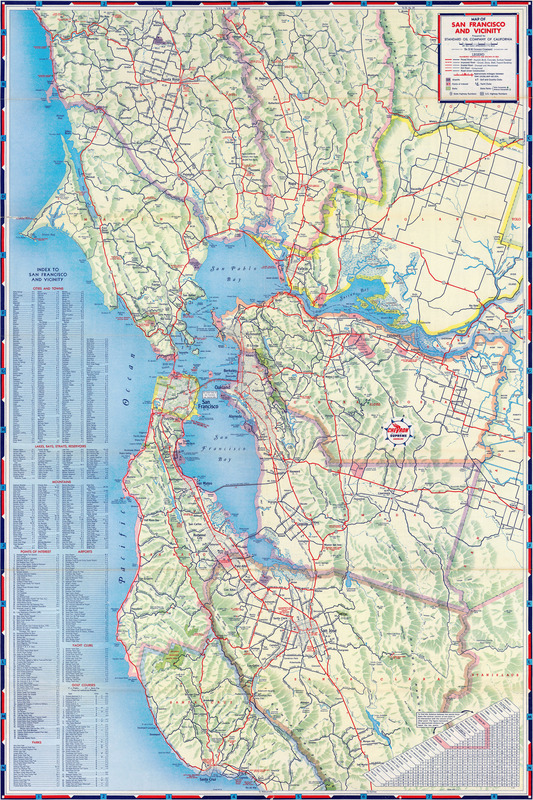 H.M.Gousha used this particular Bay Area map format starting with its 1950 issues until 1966.